It’s easy to think of Expressionism—the art form that flourished in Germany during the early decades of the 20th century—as a kind of inchoate release of emotion onto the canvas. The name itself suggests the common idea of art as a means of “expressing oneself.” Often intensely childlike, such as the work of Paul Klee, or completely abstract, such as Wassily Kandinsky’s many geometric compositions, expressionist styles influenced artists throughout the century whom we tend to associate with emotion over reason, passion over restraint: Willem de Kooning and Jackson Pollack, Jean-Michel Basquiat and Francis Bacon. But let us return to the movement’s roots and we see from its very beginnings that Expressionism was highly theoretical in its emotionalism. Its high priest, Kandinsky, pioneered non-representational painting, and explained his method in coolly analytical terms in his treatise Concerning the Spiritual in Art. 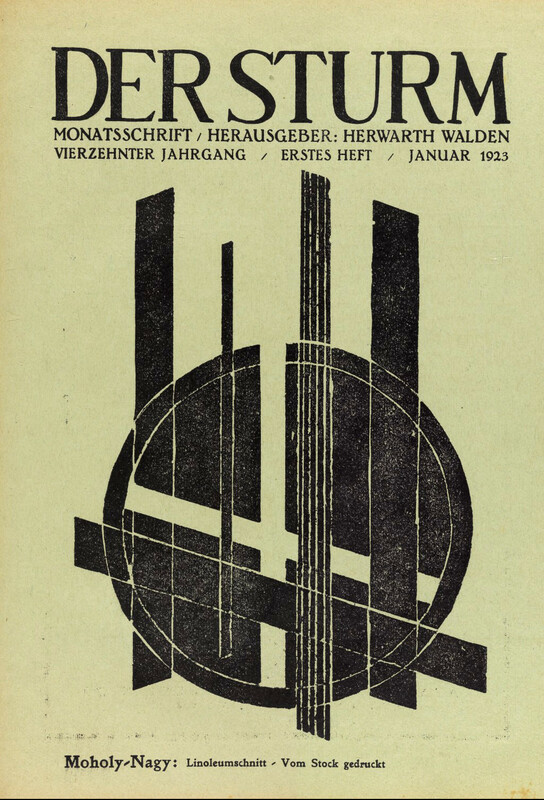 Expressionism—not only in painting, but in drama, sculpture, dance, film, and literature—early on communicated its ideas in a weekly magazine, Der Sturm (The Storm), founded in 1910 by artist and critic Herwarth Walden and running weekly until 1914, then quarterly from 1924 to 1932. 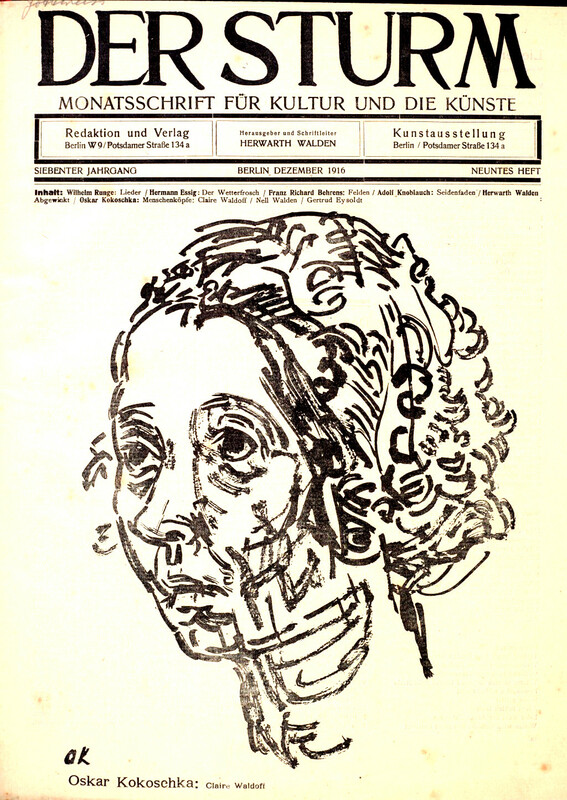 In that time, the publication amassed quite a few issues, and you can read (in German) and download all 336 of them here. The gallery’s many exhibitions (see a full list here) demonstrate how much Expressionism overlapped with a host of other modernist –isms of the period. It started "with an exhibition of Fauves and Der Blaue Reiter [a group including Kandinsky and Paul Klee that formed the core of first Expressionist painters], followed by the introduction in Germany of the Italian Futurists, Cubists and Orphists.” Edvard Munch exhibited there, as did Georges Braque and Pablo Picasso. Walden expanded the gallery’s activities after WWI to include lectures and a theater, and he began publishing books and portfolios by Expressionist artists. 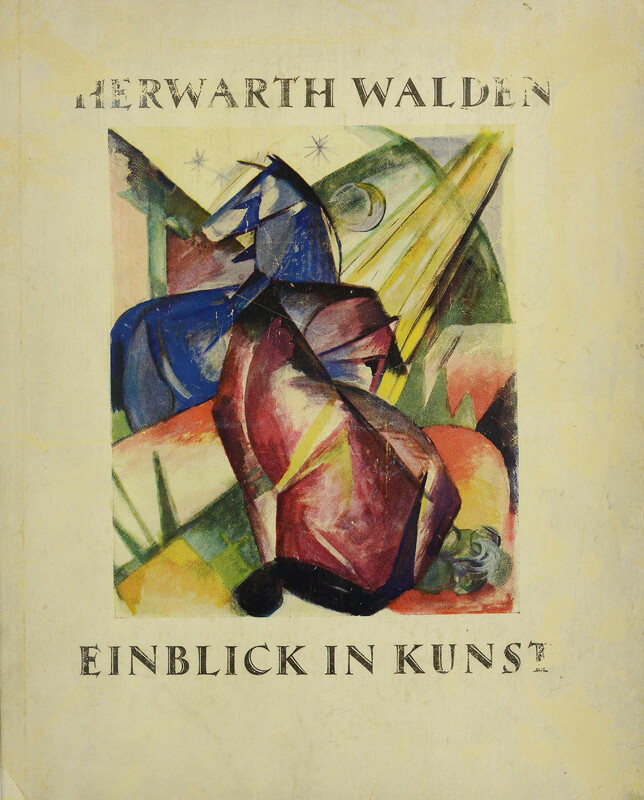 Just above see the cover of Walden’s own book Einblick in Kunst, and see several more book covers and a bibliography at Monoskop. A product of the Weimar Republic’s high culture, the German Expressionist movement largely came to an end, along with Der Sturm and its associated work, as the Nazis came to power. But the current of Expressionism moved powerfully through the century, inspiring among others the mid-century American Abstract Expressionists, who often broke away from detached, theoretical understandings of art and engaged in direct and sometimes brutal ways with paint and canvas. But one can’t imagine these later painters taking the subjective license they did without the groundwork laid by the tireless Kandinsky and his contemporaries or Walden’s expansive Der Sturm movement. 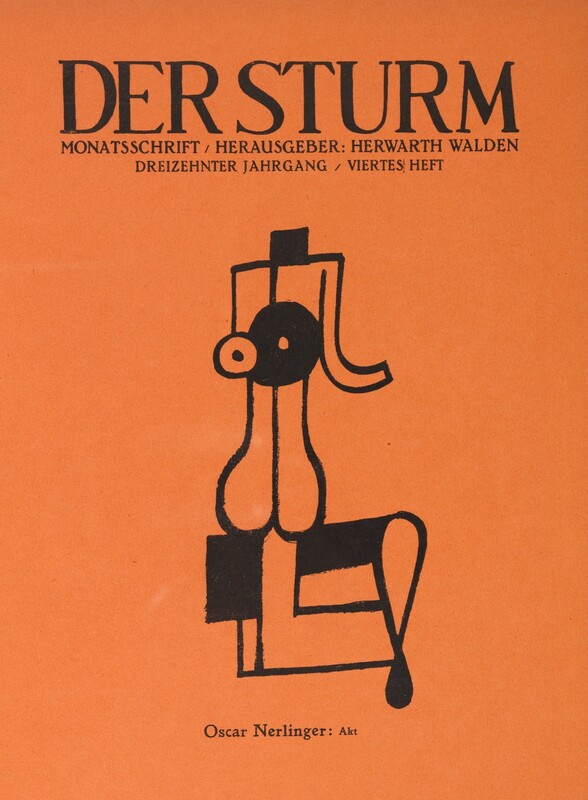 You can peruse the entire collection of Der Sturm here. I keep getting an error when I want to download.